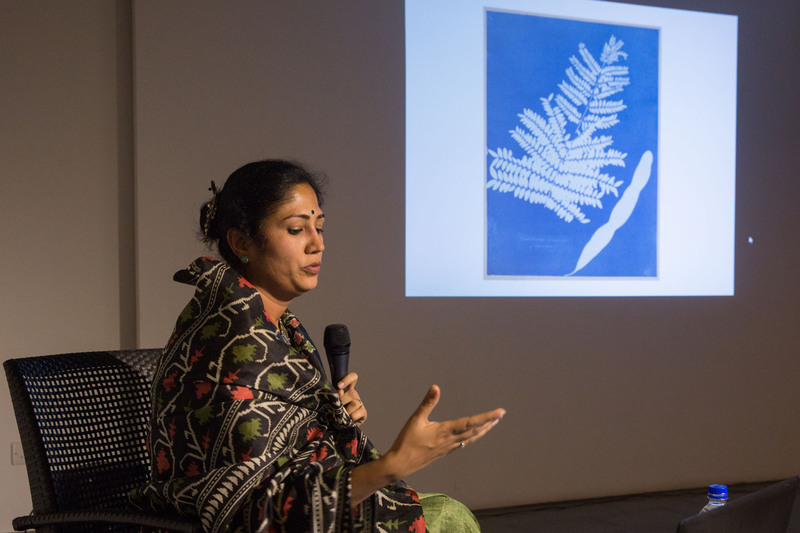 Artist and academician of India Artist and academician Aditi Ganeev Sangwan shall talk about cyanotype practice within realm of visual art. She will discuss the potential of the cyanotype print medium, contribution in printmaking and its close association with photography. Her artworks will be exhibited in the open studio. Aditi Ganeev Sangwan is currently she is serving as faculty in Department of Graphic Art, Visva Bharati University Santiniketan, West Bengal. She is using cyannotype medium as part of her practice since 2009.